The Mindful Nurse is the go-to-website for nurses who want to use mindfulness and compassion to improve their own self-care as well as the quality of care they provide to others. Check back regularly for updates. The American Journal of Nursing selected The Mindful Nurse as one of the three most valuable texts in Nursing Education in 2017 in their Book of the Year Awards. Carmel Sheridan is a psychotherapist, mindfulness trainer and supervisor in private practice. 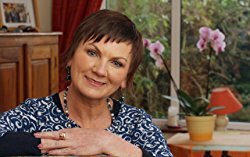 She is the author of “The Mindful Nurse: Using the Power of Mindfulness and Compassion to Help You Thrive In Your Work”, “Failure-Free Activities for the Alzheimer’s Patient”, and “Reminiscence: Uncovering A Lifetime of Memories”. 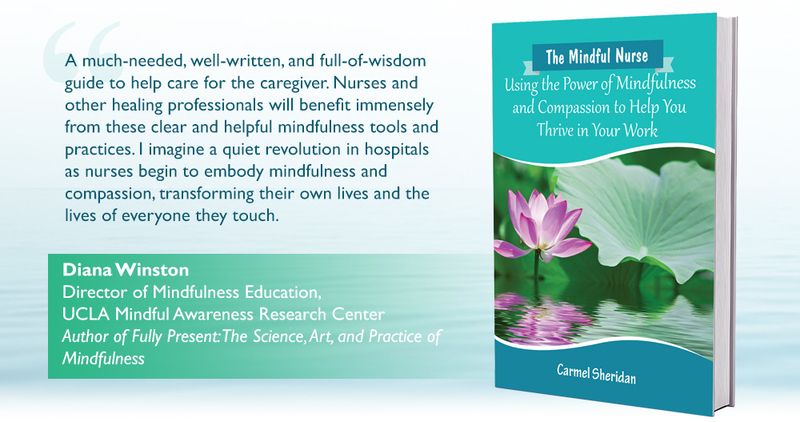 A long-time meditator, Carmel teaches mindfulness and compassion-based practices to healthcare professionals, including nurses, with a focus on self-compassion to promote resilience, focus, self-care, and well-being. She also teaches the eight-week Mindfulness-Based Stress Reduction program in workplaces, in the community, as well as online. The Mindful Nurse is the go-to-website for nurses who want to use mindfulness and compassion to improve their own self-care as well as the quality of care they provide to others.